You're Mental If You Don't Read Our Blog Series On Community Hall Rentals! So you’ve decided to host Calgary’s most awesome kid’s party and don’t fancy holding it at your house – Now what!? Choosing a Calgary Community Hall that fits your needs! As if you don’t already wear enough hats through the week (cleaner, driver, bum wiper, negotiator, etc..!) – you’ve now taken on the job of being a kids party planner. Yay! You’ve made the wise decision (we might be biased here) to not book a bounce house rental or get stressed out in one of the crowded indoor play places. Congratulations! By hosting a Sprog & Sprocket Soft Play Party or being one of the first in North America to have your very own play centre with our Portable Soft Play Playground, you have taken step one in kids party planning enlightenment! Now, what about where to host the party? Well, Calgary’s Community Centres have fantastic hall spaces and are a great option for hosting a kids birthday party! Luckily for you, we have the inside scoop from each hall we set up in! We’ll be documenting our findings in a series of blog posts, with the idea of helping you select the perfect calgary venue and making planning your kids birthday party as easy as possible. The first thing we look at when viewing a community hall is what the access to the space is like. It should be important to you too as it’s not just us bringing in our play equipment, you will also likely be bringing in birthday cake, party decorations, food and a herd of excitable party animals! Not having any stairs to climb here is super helpful, and when planning your party equipment rental whether with us or another event rental company, it is something we always look out for. Parts of the soft play equipment can be very heavy and not able to go up/down staircases. As soon as you walk through the door at SACA, you can see the community hall space to your right and you may also be slightly distracted by the INCREDIBLE mountain views across the back. The hall’s large and panoramic windows show off the view and really elevate the space into something quite special. Another great feature of SACA is the kitchen attached to the mail hall. From the kitchen, there is a large open hatch into the hall and all utensils and cooking equipment are clean and in good working order. It is important to note that the kitchen is ‘residential’ and so you aren’t able to prepare meals from scratch due to fire regulations, but you are welcome to bring in any prepared foods and use the cooker to heat them and maintain their serving temperatures. Next to the kitchen is the storage room where you will find tables and chairs – all good quality and clean with very easy access to bring them in to the hall and move them out at the end of your rental. Depending on the size of your party, you may also wish to use their boardroom as an additional party/cake/present opening room. The main hall is 1600sqft (12m x 13m) so you would need to be throwing a pretty big bash to need that extra room, but it’s good to know that it’s available! It’s also bright and spacious with lots of wall space to put up your party decorations and accomodates up to 36 people! 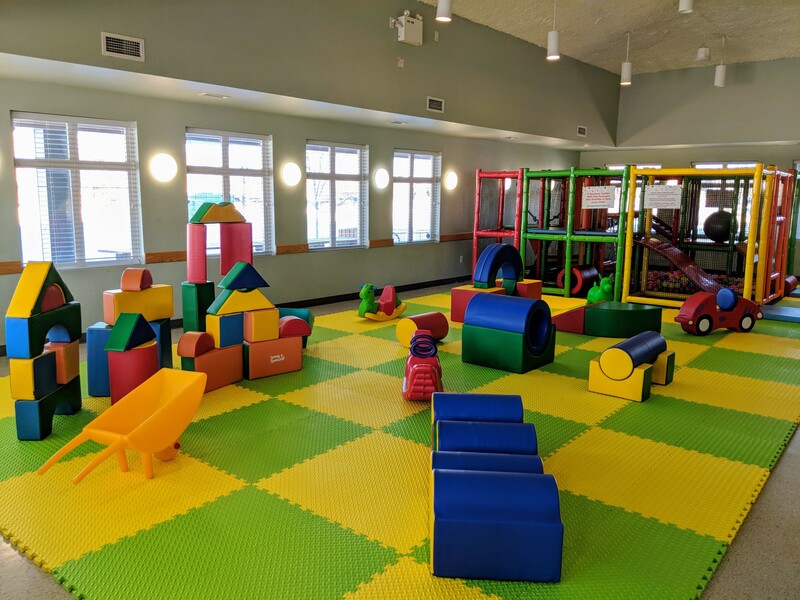 Some other features of SACA which makes for a good choice as a birthday party venue are fantastic access from Stoney Trail and Crowchild Trail, a large parking lot and friendly and helpful staff. They are a very busy community hall and we recommend booking your birthday party or event with lots of notice. In fact, when you’re looking into your soft play rental or playground rental with Sprog & Sprocket, we advise reserving your date with a minimum 3 month notice. It’s April at the time of writing and we do have Christmas party bookings in the diary). Have you hosted an event at Scenic Acres Community Association? Leave us a comment, we love hearing your thoughts and ideas on what makes a good birthday party location!